In my view, any replacement of the ACA needs to separate the discussion into the three major market segments: Medicare, Medicaid and commercial. Commercial in this context includes not just employer based insurance, but also the individual market(s) that were mostly addressed by the ACA through offerings on the several exchanges. This post will only address the latter, the commercial segment. In my view, the key problem with runaway costs in the commercial market is that the market has lost most of the feedbacks related to price signals. 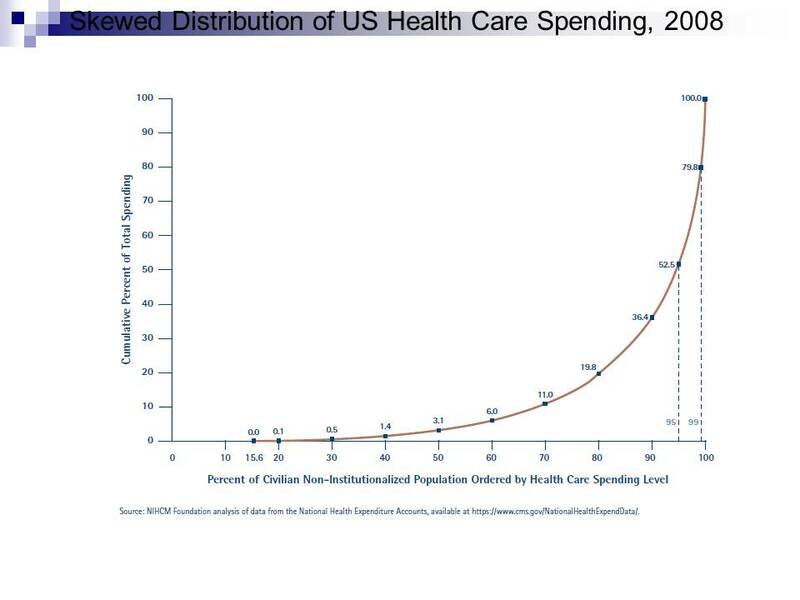 The price signals are not related to insurance; they are related to care delivery. More price competition among insurers will have little effect (since insurers only make perhaps 3% on premiums). But innovations on the pricing of care delivery could have a material and beneficial effect on costs. If we look at the rare subsegments of the commercial market where care is not usually covered by insurance (e.g., infertility, lasik surgery, cosmetic surgery, even dentistry) we see that they market behaves “normally.” “Normal” in this context means that the products (in this case, service bundles) have prices known in advance, the providers compete on quality metrics that are not established by the government, the products have warranties, and the costs for the products have decreased over the last 20 years, even though quality has improved. Allow sales of very high deductible health plans, VHDHPs (think $20,000 deductible). These would be very inexpensive (likely $1,000 to $2,000 per individual per year). Allow consumers with any health plan to borrow money from the federal government at the fed funds rate in any instance where they do not have enough cash (or HSA balance) to cover their deductible for health services. Limit the repayment of debt to the government to the same cash limit as the ACA (9.5% of income). If payers offer a primary care bundle as a rider to a VHDHP, it would probably cost between $600 and $1200 depending on age bracket. The moment that insurers offer such bundles, there would be a cascade of primary care providers offering a service bundle for a lower cost (because they don’t incur claims adjudication costs, and now would have lower billing costs). Consumers would frequently drop their insurer bundle and buy care directly from their primary care provider. Most individuals in the country (over 50%) would not incur any care costs other than pharmaceuticals beyond their VHDHP and their primary care bundle (which may or may not have a co-pay). If pharmaceutical costs are high, they could buy that rider from the insurer (or from a PBM since they would likely jump in to bypass insurers). That set of products (insurance + care bundle) would cost about half of the existing ACA plan. Folks would abandon ACA plans once they figure this out. And that would be fast. But what about the 20-30% of people who don’t use primary care but use mostly specialty care? Diabetics seeing endocrinologists? Ischemic heart disease patients seeing medical cardiologists? Many of you recognize that physicians talk to each other. If primary care physicians are billing patients $600 per year for a primary care bundle and NOT incurring insurance billing overhead, it is entirely likely that medical specialists would do the same thing for their patients. This means that primary care physicians would be competing with primary care physicians on the basis of cost and quality. Specialists would be competing with specialists on the basis of cost and quality. Do you suppose a multi-specialty group would offer a bundle for all medical physician services? Hmmmm. It would take longer for the facility-based care market to move toward consumer-understandable products. In the interim, acute services that surpass the $20,000 deductible are covered. Costs below $20,000 would be addressed by a combination of HSA balances and by borrowing from the federal government. Incidentally, most of that borrowed money would actually get paid back. In this framework, no one is worse off than they were with the ACA. Most patients would see their total costs cut about in half. And now we have actual provider-centric price competition. Imagine. This is a path to move the care delivery market toward true competitive price signals. Which populations are appropriate for care/case management focus? We would probably expect to use different case management styles (and even tools) for the very high utilizers (e.g, over $50,000 per year) than for the moderate utilizers (e.g., $10,000 to $50,000 per year). How many “levels” of case management ought we implement? Would we expect to have significantly different interventions between the levels of case management? I continue to wonder why buyers are surprised. ROI is fundamentally based on changes in revenue or cost after an implementation. If clinical tool sets do not have much effect on either, why would we expect an ROI? Perhaps more humorously, in a fee-for-service environment (in which most physicians are still practice), ROI is more commonly driven by better billing characteristics (e.g., better coding on bills, more accurate ‘upcoding’) than by process improvement. In fact, process costs tend to rise in ambulatory care when clinical systems are implemented. Does anyone think that these reports have any bearing at all on the value of clinical tools when deployed in an accountable care environment? That is, if we are actually economically incentivized to improve the cost/quality profile, wouldn’t the investment in care coordination tools have much more obvious value?